Our biggest undertaking to date. 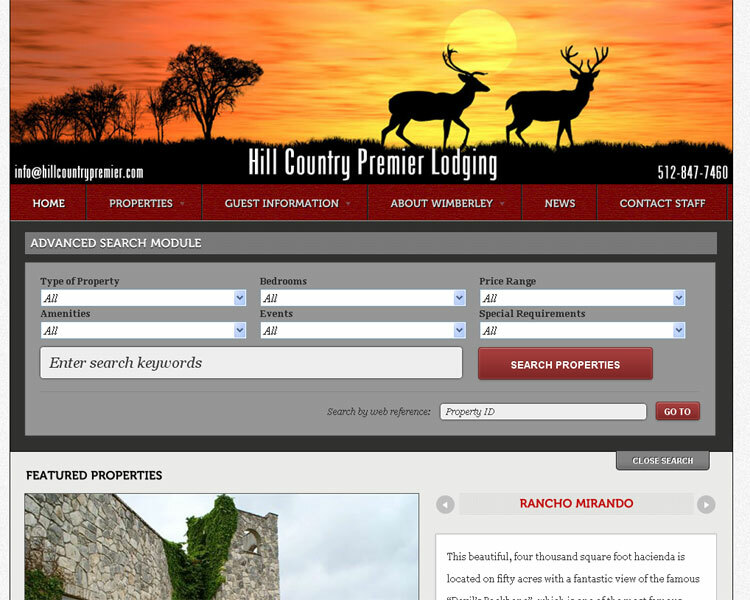 New advanced search capabilities were added to this Wimberley, Texas lodging company that has more than 100 rental properties. After the changes, the number of overall page views and the average amount of time at the site increased dramatically.